Nirav Modi, the founder of Firestar Diamond, is now at the centre of a colossal PNB Fraud worth Rs 11,000 crore. Nirav Modi was named among Forbes' list of India's Richest in 2016, with a net worth of $ 1.74 billion. PNB Fraud: Nirav Modi's home, showrooms and offices in Delhi and Mumbai were raided on Thursday. 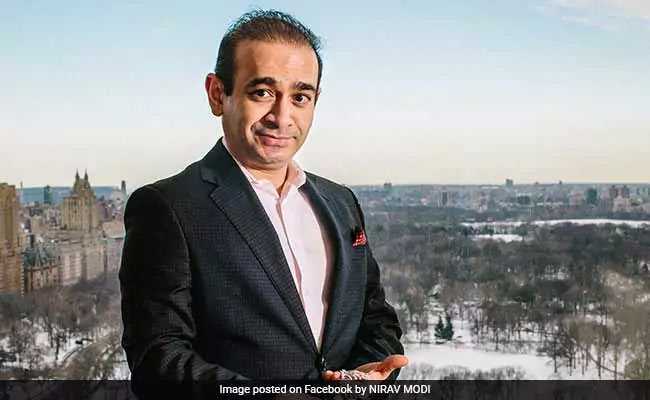 New Delhi: Nirav Modi, the name on glossy billboards promising exclusive diamond jewellery, is now at the centre of a colossal banking scandal involving fraud worth Rs 11,000 crore. Punjab National Bank has said that its own officials violated rules and put out illegal guarantee documents to help the celebrity jeweler secure credit from banks abroad. Last month, he was seen in a group photo of industrialists with Prime Minister Narendra Modi on the fringes of a World Economic Forum in Davos. Nirav Modi was already a big name by the time A-lister Kate Winslet wore his necklace to the 2016 Oscars. Nirav Modi comes from a family of diamond merchants from Gujarat and grew up in Antwerp, Belgium, a hub for the global diamond trade and as a youngster dreamed of becoming a music conductor. The 48-year-old dropped out after a year in Wharton Business School. He returned to India and trained in diamond trading, mentored by uncle Mehul Choksi, who heads Gitanjali Gems. In 1999, Nirav Modi set up a diamond sourcing and trading company called Firestar Diamond. The company is worth $2.3 billion today. Brand Nirav Modi debuted with a pair of earrings that the billionaire designed for his friend in 2008. After months of designing and sourcing diamonds, he discovered that jewellery making was his passion and something he wished to do for the rest of his life. Nirav Modi has a long list of star clients - Kate Winslet, Steven Spielberg, Sharon Stone and Aishwarya Rai to name a few. Donald Trump, now US President, inaugurated his first store in New York's Madison Avenue in 2015.Last year, Priyanka Chopra, who scored Hollywood success with her hit series Quantico, was roped in as the brand's global ambassador. Nirav Modi is known for his love of Bentley cars and expensive Italian suits. One of his many career highlights was when one of his Golconda diamond necklaces was sold for $3 million at a Christie's auction. Nirav Modi has jewelry boutiques across three continents - in London, New York, Las Vegas, Hawai, Singapore, Beijing and Macau. In India, Nirav Modi has his stores in Mumbai and Delhi. Nirav Modi was named among Forbes' list of India's Richest in 2016, with a net worth of $ 1.74 billion. The prices of his jewellery pieces range from Rs 5 lakh to Rs 50 crore. Brand NIRAV MODI also has several globally patented diamond cuts to its credit. He is married to Ami Modi and has three children. His maternal uncle Mehul Choksi is the managing director of the Gitanjali group, one of India's largest diamond companies.